Local cities are making sure residents are in the holiday spirit this December, among the first being the Hidalgo Illuminated Christmas Parade on Friday. Starting outside of City Hall Plaza in Hidalgo at 7 p.m., the free event features ornamented floats, local marching bands and performers, and marks the beginning of the Festival of Lights. Boasted as the largest Christmas display in Texas, the Festival of Lights opens the night of the parade through Dec. 31. Offering train and trolley tours to the 9-mile long illuminated track, visitors also have the option of exploring from their vehicles. 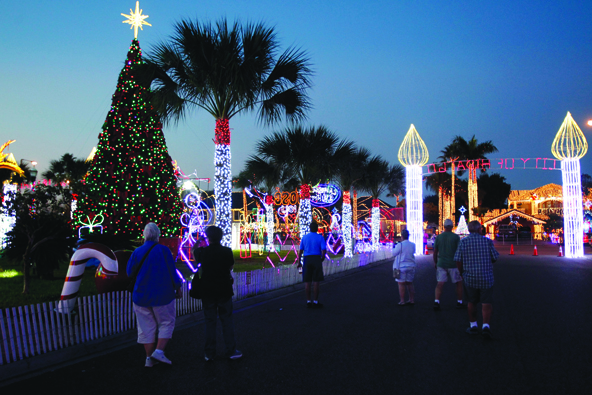 Also on Friday, McAllen will be hosting Christmas in the Park at the McAllen Municipal Park, starting at 5 p.m. With two stages of live entertainment, food vendors, a marketplace, carnival rides and Santa Claus, the event is designed for family members of all ages to enjoy, according to Xochitl Mora, the city of McAllen communications director. “With the carnival for children and concerts for parents, it’s an event that the whole family can participate in,” said Mora, who has been on the planning committee for the past three years. Festivities start early on Saturday morning, inviting locals to eat the most important meal of the day with Santa. “Breakfast with Santa!” starts at 8 a.m., at the Old Church Winery, with a hot plate of pancakes and breakfast sausages ready to be feasted. Mora said the extravagant holiday events promote McAllen and offer residents the chance to celebrate locally. 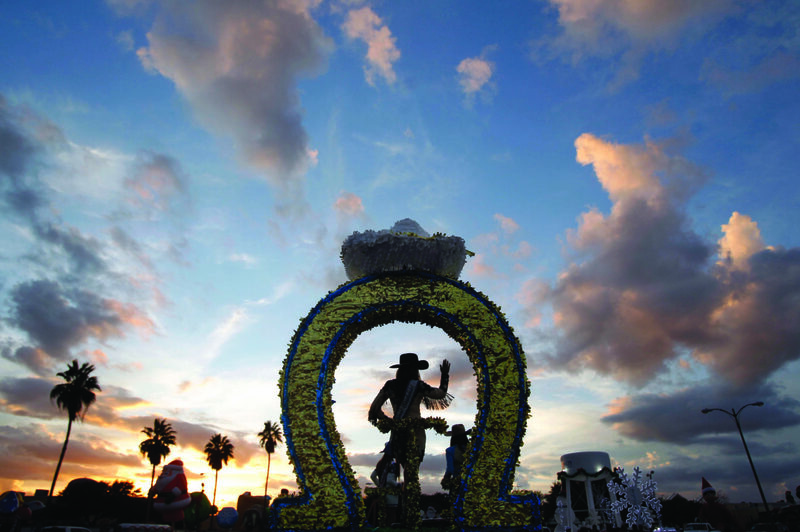 Local residents, who have spent this time of year in the county before, know that the McAllen Holiday Parade is among the biggest and brightest seasonal festivities in the region. 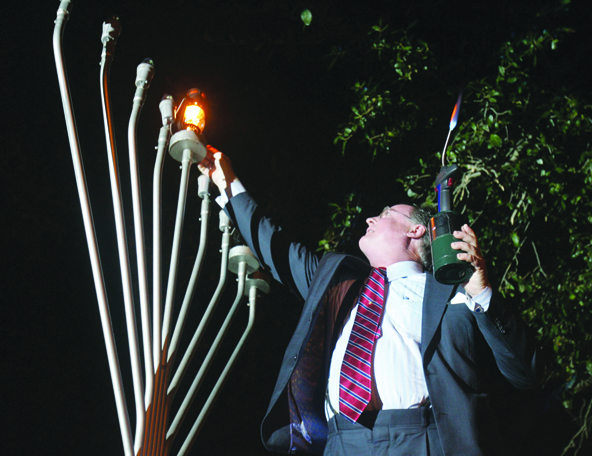 John Ingram, McAllen city commissioner District 5, lights the shamash (attendant candle) during the lighting of the Menorah at Chanukah celebrations held at Archer Park on Dec. 7, 2015, in McAllen. This year’s Chanukah Festival will be held Wednesday. The annual Chanukah Festival will begin at 5 p.m. Wednesday at Archer Park in McAllen. The free event will include activities for children including rides and crafts, as well as a concert by the world-acclaimed band 8th Day, hot latkes, a kosher hot dog stand and a giant menorah lighting. Ballet Folklorico and Mariachi Aztlan groups will also be performing this weekend, presenting their special event series “A Mexican Christmas” on Sunday at the UTRGV Performing Arts Complex at 2 p.m. General admission tickets are $10, senior tickets for $5 and free for students with a valid ID. The city of Pharr will present its annual Christmas Posada from 5 to 10 p.m. Saturday in downtown Pharr. The event will feature a snow slide, ice skating and live music. The lighting of Pharr’s official Christmas tree by Mayor Ambrosio Hernandez, will take place at 6 p.m.